I got back from Convolution last night and I’m still excited from the event. This was a wonderful creative, low-key convention. 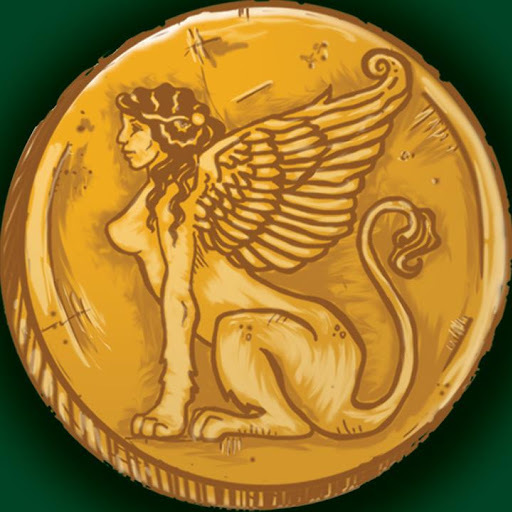 I made a lot of new friends – special thanks to Convolution VP Erik Bigglestone, from Games of Berkeley, who saw me failing to mingle at a party (I mingle by standing awkwardly in a corner – it’s my way). Erik personally introduced me to people I was much to shy to approach. And although I’m singling out Erik, that general attitude – warm, friendly, hey everyone let’s have fun – pervaded the event. In the words of M. Todd Gallowglass, toastmaster: “There are no snobs here”. This is Convolution’s second year and although they are still having some growing pains (registration was not pretty, and the Hyatt has very limited and ridiculously expensive food options even by fancy hotel standards) in general it was smoothly run. It was large enough (about 900 estimated attendees) to feel exciting and busy, and small enough to feel intimate and friendly. There were hands on workshops and panels, and parties, parties, parties. And of course, there was the Goblin Ball, featuring live performances and a DJ and me jumping around like a very, very happy idiot with bad feet. Me: “No thanks, I had candy for breakfast”. 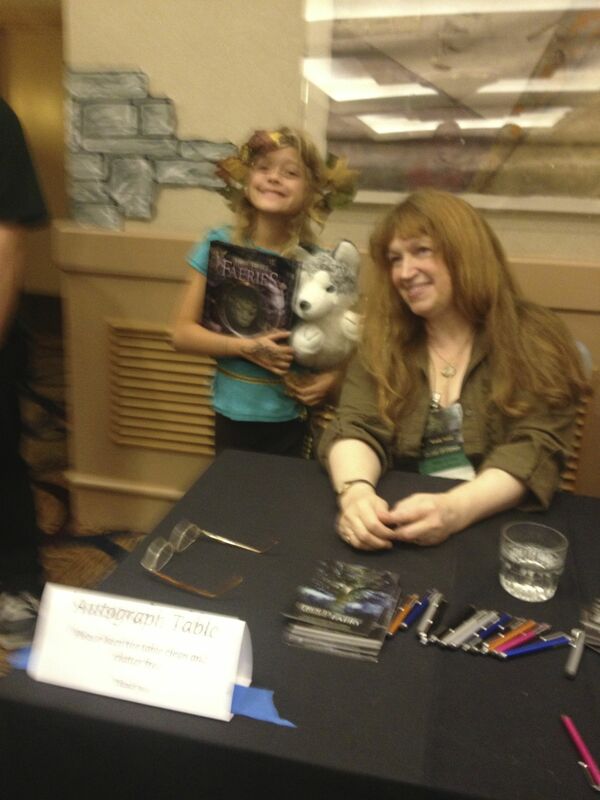 A very blurry picture of Wendy Froud and fan. (I just find it hilarious that in this context not only might someone ask another person to check out their tail, but it can mean at least 3 things with equal likelihood). 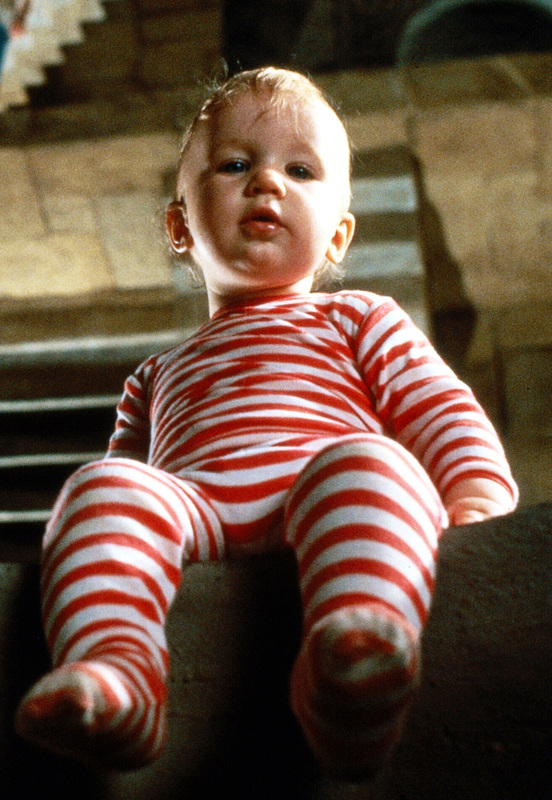 Toby, as a baby in Labyrinth. Wendy assures us he was perfectly safe and in no danger of falling, or of being eaten by goblins. More pics later, but here’s one of The Babe With the Power, Toby, all grown up, with his baby. DUDE. TOO MUCH CUTE. 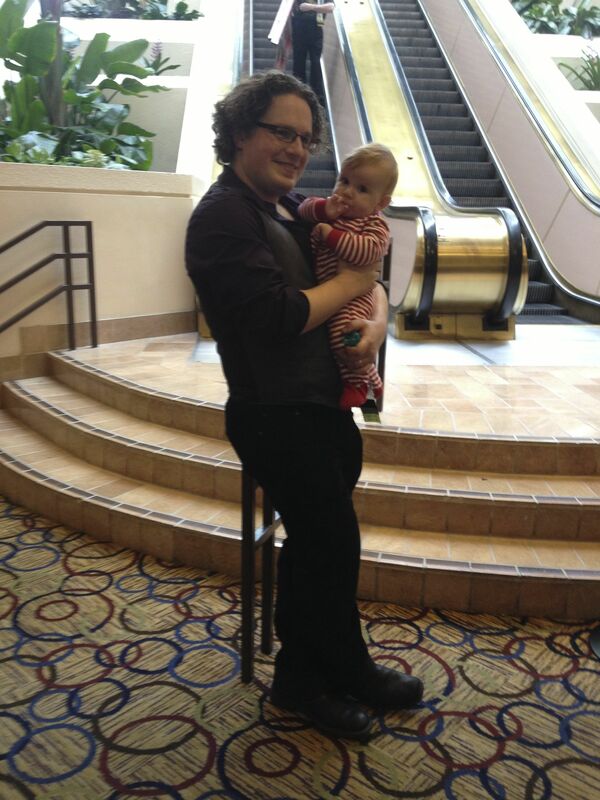 Toby, grown up, and his insanely cute kid! This entry was posted in Blog News, Rants and Raves and tagged Brian Froud, Convolution, Hyatt, Jim Henson, Labyrinth, Toby, Wendy Froud. Toby’s baby in the jammies made my brain explode. Every time I saw her I just died.